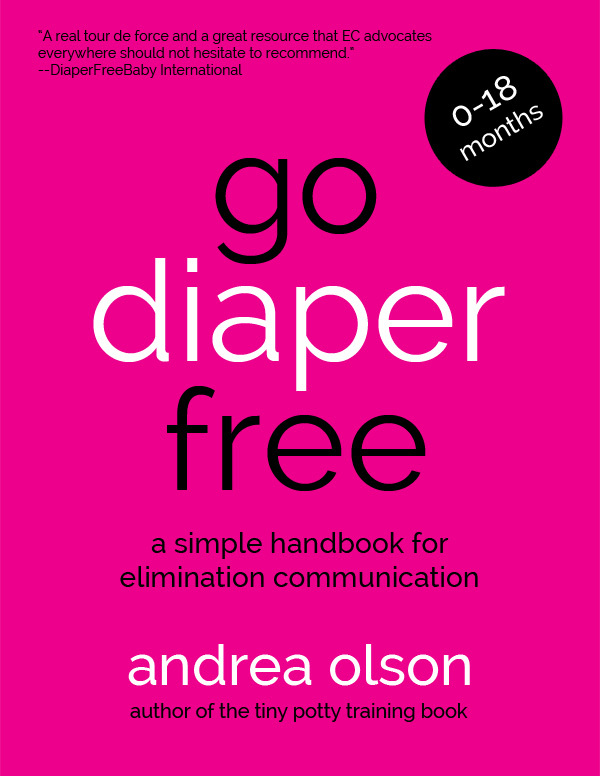 Go Diaper Free: A Simplified Handbook for Elimination Communication was created by DiaperFreeBaby Mentor Andrea Olson, MA, to be more than just a book…it is a hands-on experience of exactly how to start, how to maintain, how to complete, and how to fend off challenges inherent to the practice. If you learn best by seeing, doing, and experiencing…Go Diaper Free will help you learn EC hands-on, how it’s meant to be learned. Consider this a passing down of tribal wisdom. 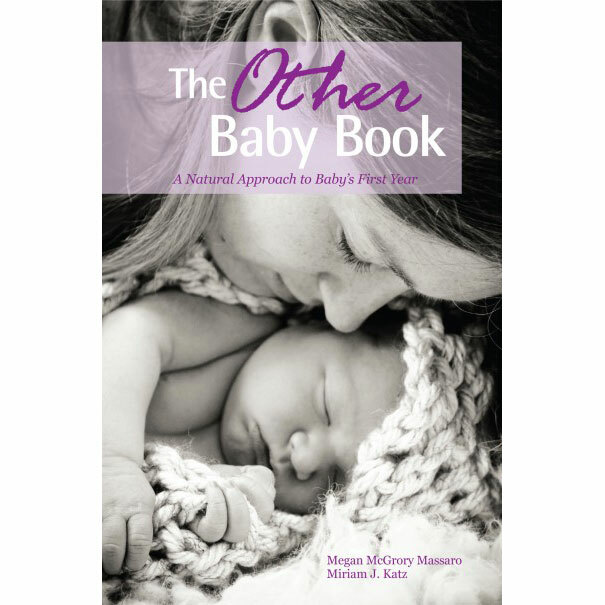 a vibrant 450 page digital book (only some will apply directly to your baby’s current age, so don’t worry about length! ), it’s easy to search and hop around. Read your book instantly on any computer or mobile device & save trees. covers how to start EC with your baby, at any age from 0-18 months, now divided up by newborn, mobile baby, and young toddler ages (no one else teaches starting EC “older” the way this book does). includes ground-breaking advances in the EC field, such as conclusive sections on starting at older ages (5-18 months), Troubleshooting and Potty Pauses, The Building Blocks of Potty Independence (the only existing guide to graduating EC), Responsible Diaper-free Time, correcting peeing-on-the-floor habits, and more. Covers the most common challenges of EC including: Part-time EC, Nighttime EC, Starting EC Older (5-18 mos), Praise, Potty Pauses, and ECing while breastfeeding, in the city, in nature, or while traveling. The Audiobook (upon future release) – upgrade to the Book Package and get 5 hours of professionally recorded audio…learn EC on-the-go, while at the playground, or while doing laundry. Andrea Olson is the mother of 3 ECed babies and one of the only people on this planet that thinks and writes about baby pee & poo every single day! She’s had years of experience as a DiaperFreeBaby Mentor. 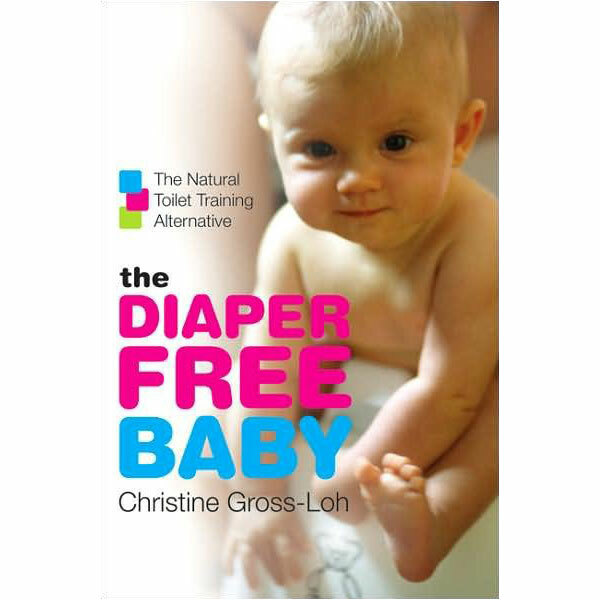 She is dedicated to teaching parents like you how to start and maintain a lovely potty practice with your baby, and her book is the best guide for starting in a visual, simple manner. Download Andrea’s book instantly and begin EC today. 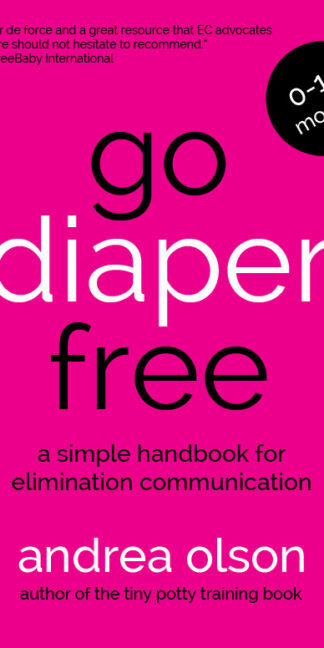 The cost for the Go Diaper Free Book is now only $37.